The program is designed to provide an opportunity for persons interested in pre-hospital emergency care to become skilled in basic emergency care to save lives and reduce injury. 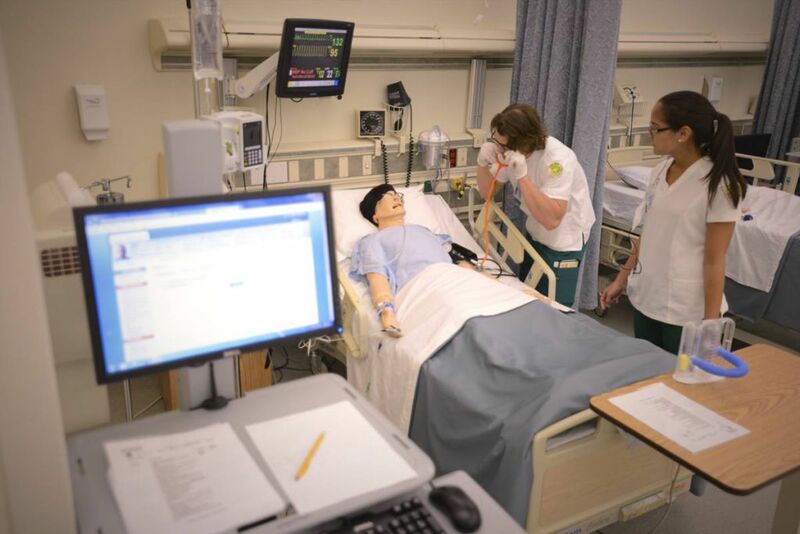 The Florida Department of Health, Bureau of EMS, has approved Pensacola State College as a training center for EMT and Paramedic programs. 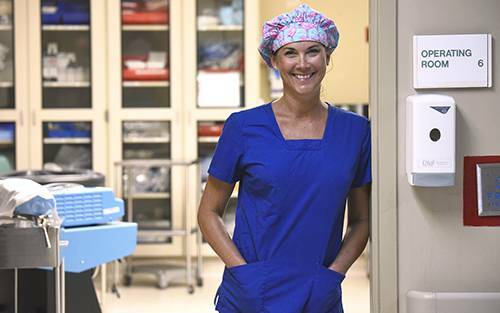 Graduates are eligible to take the State and National EMT Certification examination. Health Program applications are available from the Admissions Specialist, Health Programs Office on the Warrington Campus or on this page under Documents & Links. All application requirements must be completed by the established deadlines before a student will be considered eligible for admission to this program. Background and drug screen must be completed by the established deadlines. Admission is competitive among eligible applicants. Applicants who have submitted the application packet and met the minimum criteria for entrance into the program will be placed in the class according to when the applicant’s completed packet is received. All classes are limited to 24 students. Once the current class is filled, the applicants will be placed in the next available class. Final admission to the program is contingent upon submission of satisfactory physical examination/immunization forms. People who prefer this career like to work as a team member and can physically and mentally cope with high levels of stress. 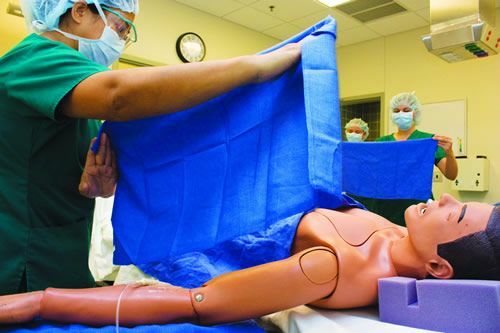 Students must possess sufficient physical, motor, intellectual, emotional and social/communication skills to provide for patient care and safety, and the utilization of equipment. Performance standards for Emergency Medical Services students (Emergency Medical Technician-Basic and Paramedic) are based on information from the United States Department of Transportation Job Task Analysis. Aptitudes required for work of this nature are good physical stamina, endurance, and body condition that would not be adversely affected by frequently having to walk, stand, lift, carry, and balance at times, in excess of 125 pounds. Motor coordination is necessary because over uneven terrain, the patient’s, the Paramedic’s, and other workers’ well being must not be jeopardized. Critical thinking sufficient for emergency medical judgment:; Independent judgments in a physician’s absence; Determine treatment priorities; Make quick decisions. Interpersonal abilities sufficient to interact with individuals, families and groups from a variety of social, emotional, cultural, and intellectual backgrounds: Life and death situations; Family stress of patients illness; Peer stress from critical incident; Cultural diversity in reactions to illness or injury. Communication abilities sufficient for interaction with others in verbal and written form: Radio report of patient condition; Comprehensive written reports of patient condition and treatment; Verbal report to other health care providers. Physical abilities sufficient to climb, stoop, crouch, kneel, lift 150 lbs., drag, crawl, balance, reach, push, carry, bend, walk, run, shuffle: Work in natural and manmade disasters; Move patients from incident to safety. Gross and fine motor abilities, finger dexterity, vision and finger and hand movements sufficient to provide safe and efficient emergency care: Tie a knot, bandage; Initiate IVs, Give injections; Pick up small objects; Write with a pen. Hearing Auditory ability sufficient to monitor and assess health needs; Auscultate breath sounds, heart tones. Visual ability sufficient to work in dark or dimly lit, bright light and have spatial aptitude and form perception and color discrimination: Reading and writing reports; Visualize mechanism of injury in relation to patient’s condition; Describe size and shape of wound; Describe patient’s skin color; Determine fine detail in EKG rhythms. Tactile ability sufficient for physical assessment: Perform palpation. See motor skills. Ability to provide patient care in a variety of locations and conditions: Deliver patient care in all weather conditions, in water, mud, roadways, fields, buildings, high and low elevations, in hot or cold air temperatures. The program is designed to provide an opportunity for persons interested in pre-hospital emergency care to become skilled in basic emergency care to save lives and reduce injury. 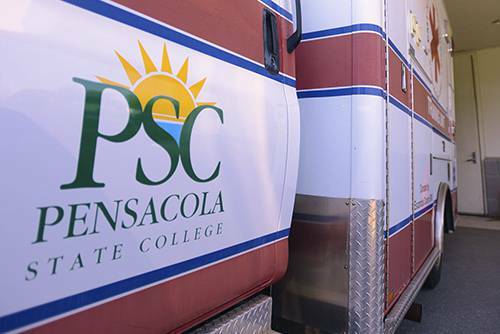 The Florida Department of Health, Bureau of EMS, has approved Pensacola State College as a training center for EMT and paramedic. Graduates are eligible to take the National and State EMT Certification examination. 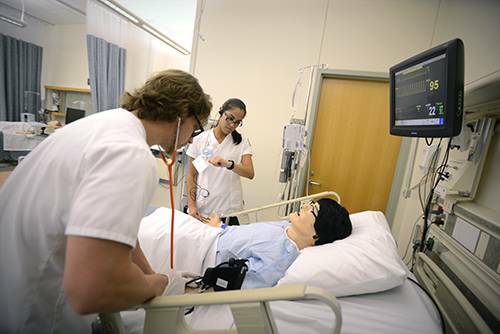 Health Program applications are available from the Admissions Specialist, Health Programs Office on the Warrington Campus. Graduates from the Emergency Medical Technician program work for hospitals, private ambulance services, and municipal fire, police, or rescue squad departments.